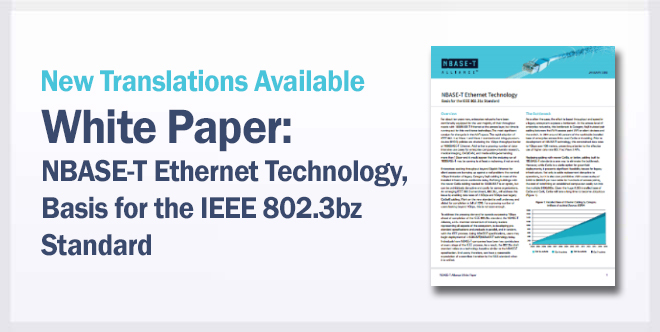 The NBASE-T Alliance is an industry-wide cooperative effort focused on enabling the development and deployment of products that support 2.5G and 5GBASE-T Ethernet. The alliance was founded in 2014 to build consensus and help streamline the development of a new standard. 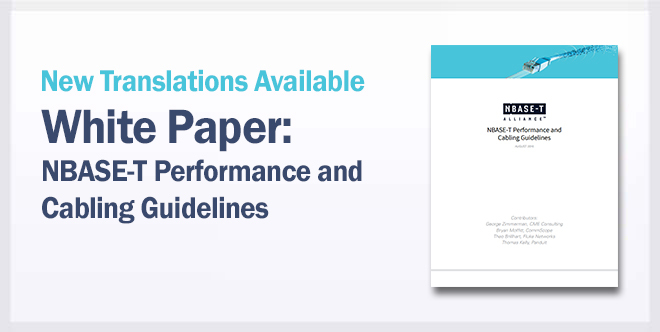 That standard, IEEE 802.3bz, approved in record time in September 2016, is compatible with specifications published by the NBASE-T Alliance. In addition, the specification includes additional features that further optimize networks based on the standard. The specifications enabled member companies to quickly develop and deploy 2.5G and 5GBASE-T products, making use of the large, installed base of copper cabling, such as Cat5e and Cat6, found in many places including enterprise, home and service provider networks. More than 45 companies have joined the alliance, representing all major facets of networking infrastructure such as access points, Ethernet switching, and computing, as well as the necessary technologies required to deliver these applications including physical layer ICs (PHYs), processors, connectors, controllers, switches, FPGAs, Power-over-Ethernet ICs, cables and test equipment. With hundreds of products shipping, the alliance now focuses on publishing optimizations to the specification, facilitating interoperability and educating the market about the multiple applications of the technology.